Gray kicked off the roundtable by asking the attendees to consider FirstNet’s progress and its implications for the LMR market and what might happen to the appeal of two-way radio systems once MCPTT has been successfully proven. “I don’t know when the impact will take place because I don’t see LMR disappearing from public safety for another generation. [Broadband is] nice to have, it’s a nice adjunct, it’s not critical communications,” responded Mark Pallans. He concluded by predicting that as the US population is “very lumpy” in terms of its geographical distribution; this “makes covering wide areas with the density you need a difficult proposition”. He predicted that the suburban doughnuts around urban areas will be first to move to MCPTT as they have “enough density to justify the coverage, enough economic activity to justify the cost and small enough agencies to turnover equipment quickly”. Rehbehn drew attention to one huge advantage that FirstNet possesses – “[Its] model takes the CAPEX commitment away from the [public safety] agency” – and he noted its appeal to some impoverished rural areas where AT&T will provide “good enough coverage”. Horden responded by observing that an OPEX-based model is out of sync with the classic funding model for public safety communications, which like agencies’ communication procedures has evolved symbiotically with LMR – it being CAPEX-based and taking the form of a grant or “a state allocation from the state budget at a much higher level”. John Monto said he believes the transition to MCPTT will take place once technology, funding and the lifecycle aspect all align. Peter Clemons added there is also the need to consider the “new generation of younger people with different mindsets [and] ways of operating… so even [though] I don’t necessarily disagree with what we’ve said, that LMR is going to be around for a long time, there will be pressures from the younger generations”. PowerTrunk’s Jose Martin said the feedback he had received from his customers and potential ones is that they “are not interested in services provided by commercial operators”, due to the need for their supplier to meet five nines (99.999 per cent) availability: “There is no commercial service capable of doing that.” He added that customers such as New Jersey (Transit) or the New York Metropolitan Transportation Authority, among others (which have public safety-like requirements) had been investigating the market for years and concluded that TETRA was the right technology for them as its data capabilities support automatic vehicle location (AVL), “unlike other previously available technologies in North America” and due to the way that “commercial systems are never designed – that’s a matter of business model, it’s not technology – to be available 99.999 per cent of the time”. Gray noted that the consensus around the table was “that LMR has a lot of life left in it but that some level of coexistence and parallel running is the way to go for quite some time”. Horden noted that as the majority of public safety users switched to commercial 3G/4G services 15 years ago for data, this “parallel path started some point in the past”. The conversation then moved on to the importance of ensuring that mission-critical broadband equipment is standards-compliant. Harald Ludwig said “only standards-based solutions give you interoperability” and noted that in this case, there is only one standard, which is MCPTT – in contrast to LMR, which has seen competing standards such as TETRA, P25 and Tetrapol. There was some discussion of the ETSI MCX Plugtests, which are working to validate the MCX standards (MCPTT, MCData and MCVideo), but as they focus on early implementation testing, they do not provide successfully participating vendors with an interoperability certificate. Ludwig added that “currently everyone can claim ‘I’m MCPTT-compliant’, but nobody can prove it”. It is worth mentioning here that TCCA and the Global Certification Forum (GCF) are working to address the issue of MCX interoperability and certification. 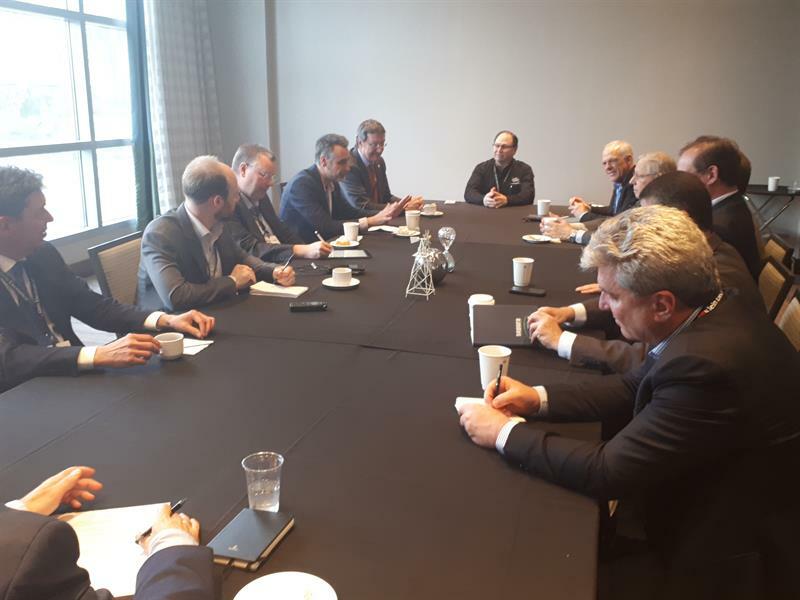 Gray discussed his recent visit to Mobile World Congress Barcelona where he spoke with test equipment manufacturers and the GCF, saying that “there is light at the end of the tunnel”. Barber also highlighted that air interface IOP testing and certification doesn’t deliver the functional interoperability that a user “does to operate efficiently day in, day out – it just says one device can talk to another over an air interface and that’s it, so there’s a more complex layer behind that which needs to be solved as well”. There was then some discussion of how to achieve interoperability between LMR and LTE networks. Martin said “this is not too difficult” and that PowerTrunk is “proposing solutions to make LMR and TETRA configurable with FirstNet”. Gray then asked the attendees to consider the migration path from LMR to LTE in North America, the region’s specific challenges and how coverage and resilience can be delivered affordably. Mark Pallans said that historically the commercial/business segment has driven LMR development, given the much smaller number of public safety users, with radios being designed for business users and then adapted for first-responders. While he added that this will hold true for LTE, “you’re going to have millennials that want all these features, that’s going to drive the development of that product a lot faster than it would if it was just FirstNet, so when that starts occurring then the public safety market is going to not see a need – but they can see the availability of [those extra features]…and [this] has to be discussed and thought about”. Another issue, this time raised by Horden, is that in US public safety, “you’re always working with your adjacent agency that you don’t have control over, so even if your agency were to make the cut[over to LTE], you’re still going to be in a coexistence world because the guy next to you didn’t”. He explained that there is also the problem of affordability during the transition as costs will be higher than normal when using two networks rather than one – “my concern is there are challenging questions nobody is even asking”. Gray queried this, given that public safety agencies’ investment in LMR at this point is essentially a sunk cost. However, Horden noted that the shift to a software-based world has meant that there is now a significant OPEX component to LMR “that’s in the 10 per cent range – it’s not going to [be that] you can shut off the spigot and switch over, it’s going to be a costly transition that needs to be addressed”. Clemons chimed in: “It will be interesting when some of the large state-wide systems come up for renewal at some stage and then there’s pressure from government, FirstNet, and [their] finance department[s].” He added that once a jurisdiction makes the switch to mobile broadband for voice, in the same way that some are closely watching the work to roll out the Emergency Services Network in the UK, “everyone will look to see the relative success or failure of that jurisdiction to see where they go for the future”. I said that it may be the case that if that initial transition turns out to be a success, public safety agencies might be able to switch quickly, given that it doesn’t require them to roll out a new network. Richard Davis said an interesting example of a hard cut-over from LMR (iDEN in this case) to mobile broadband “from the commercial side that bleeds over into public safety” is Southern Linc’s CriticalLinc LTE network, which covers very rural areas, “and they support a lot of the public safety in those rural communities” – mainly small agencies that cannot afford their own systems. He also said that until what FirstNet promises “is proven and documented, it’s not going to happen. I just don’t see the rural buildout, and where’s the oversight for that? Who is bearing down on FirstNet to say [it has] to reach these counties?” I highlighted the competition that AT&T/FirstNet has with Verizon, and Rhodes agreed that this will help drive this. As a sidenote, John Monto drew attention to the fact that several large cities now require, as part of the construction permitting process, that public safety communications have to be proved to work inside new buildings. Horden added that while this works very well when the jurisdiction setting the code is tightly aligned with the jurisdiction that owns the radio system, in the case of the most popular model for distributed antenna systems (DAS), the neutral host model, the unit is not owned by the building owner or managed by the “code enforcement group, so you’ve got this dichotomy [that] hasn’t been forced through the process yet to see how it’s going to work”. Moving away from in-building coverage, Martin said that in the US, at least 50 per cent of police officers are still using analogue radio because “the dominant technology for public safety is extremely expensive”, adding that a P25 radio can cost around $5,000-$7,000. Horden later added that the price of a mid-line radio, in the quantities that public agencies buy them in, is around $2,500-$4,500. Martin went on to say that his company can offer narrowband complemented with broadband at a fraction of this price and that TETRA-using public safety organisations elsewhere in the world are paying significantly less than the sums mentioned. Sepura’s Barber added that at the high end of the market, it is possible to buy 15 TETRA radios for the cost of a single P25 radio. Horden noted that part of the reason analogue continues to be used comes from operational requirements (as is the case with firefighters) or economic reasons. He added that agencies, particularly in rural areas, are adopting other technologies such as DMR or Nexedge to go digital in a way that they can afford, and this “then creates another [interoperability] issue at the edges”. Barber said part of the cost issue revolves around “standardisation and IOP and unless both are strong, you won’t have a very competitive market to keep the price down”. Horden added that there are less expensive P25 radios on the market, but agencies tend to opt for high-end builds: “Whether they need all the ruggedness they’re buying or whether they’re just impressed with it is another discussion. The competition in the TETRA market has driven a lot of that out. I have customers that have looked at radios that work identically technically and still choose the more expensive radio because that’s the one they trust.” He added that the person making the purchasing decision “gets very little reward for saving a few dollars but is in significant risk if something goes wrong”. Gray shifted the conversation to the current thinking around how the need for an equivalent to LMR’s back-to-back/direct mode will be addressed by mission-critical broadband. He noted that while 3GPP had delivered ProSe (Proximity Services), “it’s not suitable. They’re not going to do anything else in 3GPP, it’s up to us.” While some have suggested that there might be some potential in the V2X communications being developed for 5G, Gray said that “with the experience of ProSe, I’m not putting too many of my eggs into that particular basket”. Horden highlighted that a different product to address this issue would break up the “volume numbers that drive the cost down, which is one of the big promises of moving to LTE”, while also slowing down the pace of technology revisions. 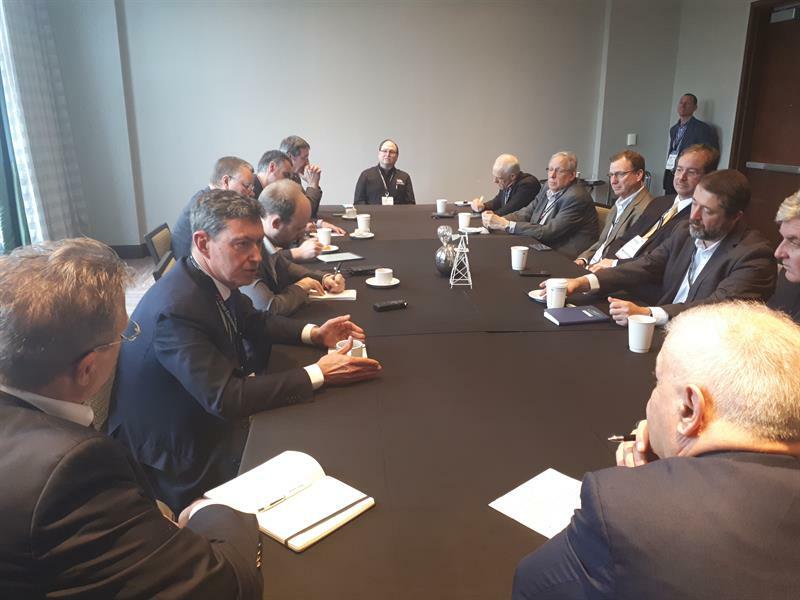 The last topic of discussion was the recent progress on TETRA projects in North America. Martin kicked this off by drawing attention to PowerTrunk’s recent win with Cooperative Energy – the resulting radio system will cover roughly two-thirds of Mississippi. It counts Diverse Power’s similar system, which PowerTrunk also supplied, among its neighbours and, according to Martin, the latter currently covers 60 per cent of Georgia. He added that public safety users are likely to join Cooperative Energy’s network, like they have with Diverse Power’s. Martin also said PowerTrunk has a project to provide Invista, a Texan polymer manufacturer, with critical communications and that it requires intrinsically safe devices. Turning to the work that PowerTrunk is doing on behalf of the New York City Metropolitan Transportation Authority (MTA), Martin said his company is supplying TETRA equipment certified for use in the 700MHz band (which is allocated to public safety) and the radios are capable of making P25 group calls to comply with the requirement for radios in that band to be able to operate on the nationwide interoperability channels. As the MTA holds spectrum in 700MHz and 800MHz, the radios are designed in both bands. Martin added that some of the handsets (around 1,300 – the project involves circa 8,000 buses) have already been shipped and that the first phase of deployment will begin this year with Staten Island. Pallans briefly discussed the project to provide Bermuda with a new mission-critical narrowband network. He said the request for proposals (RFP) has been out for some time and that at the time of the roundtable, he was hoping to see the procurement process (which had been put on hold due to elections that replaced the entire government) resume within the next few weeks, as this would allow it to be completed before the end of this year. Monto explained that as Collins Aerospace has completed its big push of replacing its airport customers’ iDEN systems with TETRA, it is now focused on meeting the needs of its existing customer base. His colleague, Richard Davis, added that one issue they have encountered is that “the airports tend to want to interoperate with the local jurisdictions and a lot of times it drives them towards a P25 solution; we fight that on [a regular] basis”. He added that airports have begun adopting PTT over Cellular apps on their employees’ smartphones at the low-end, non-mission-critical part of the market. Martin said one problem with the debate around broadband versus narrowband is that “customers [are] putting investment on hold for years because they believe LMR is going to be replaced with broadband [and are] waiting for something that will never happen”. Gray added that this is a generic problem as the “gluing effect” resulting from the current hype around 5G is frustrating for “the people just trying to get things done today in today’s market”. Clearly, while this debate is a fascinating one, it does have real-world consequences for the industry as a whole. 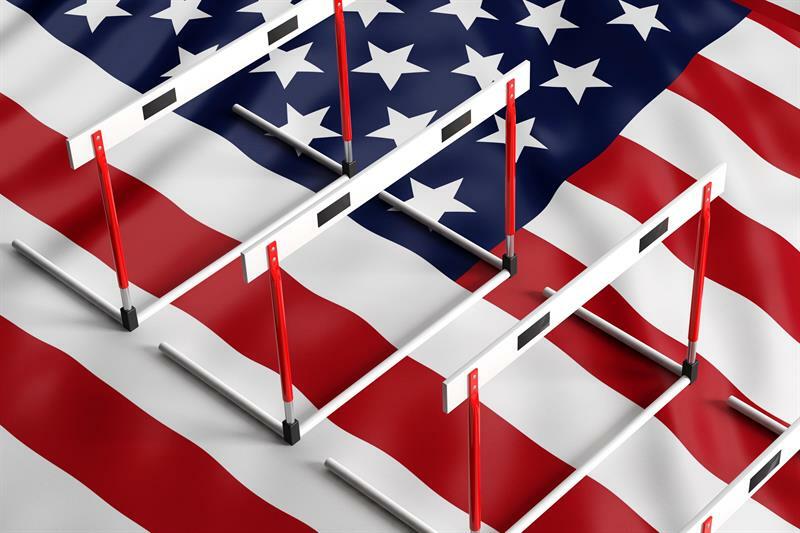 It will be interesting to see how the conversation will have evolved in a year’s time, given the ongoing work of AT&T, the FirstNet Authority and Verizon and the mission-critical broadband projects under way in the UK and South Korea.